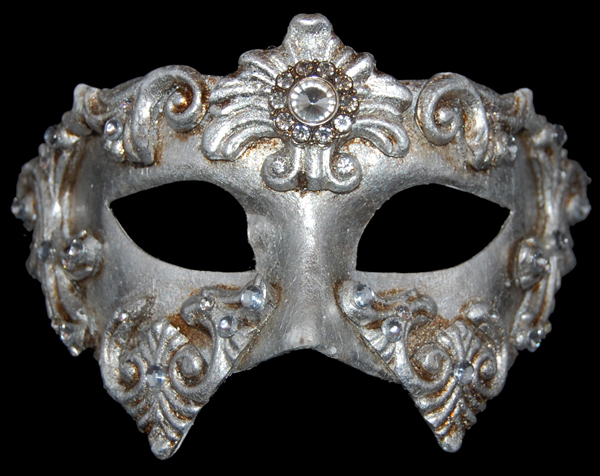 Lavish Venetian masks like our Colombina Barocco - Silver - Venetian Masquerade Masks will guarantee you the best costume at Carnivale this year. Our Colombina Barocco Venetian masks are hand made in Venice, Italy utilizing a hand cut paper mache eye mask. Our mask makers add shimmering silver paint to the surface and encircle the perimeter of our Barocco masquerade masks with majestic looking artistic elements. Dark accents are painted in the crevices to give an aged look, and faux crystals and pearls complete the extravagant look. 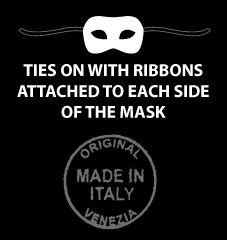 Our Venetian masks have black ribbons at the temples for tying, and make a remarkable impression on fellow masquerade ball attendees. 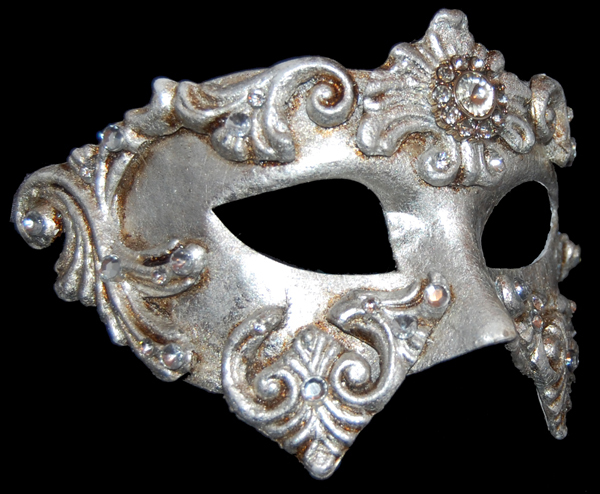 Add a plush black, red, or silver hooded cloak made by Venetian Mask Society to complete your masquerade costume.